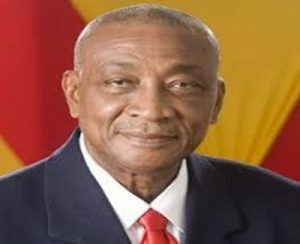 BRIDGETOWN, Barbados, Jun 1, CMC – Bishop Joseph Atherley was on Friday sworn in as Opposition Leader, one week after he was a member of the victorious Barbados Labour Party (BLP) that swept the May 24 general elections, winning all 30 seats in the Parliament. The Member of Parliament for St Michael West constituency, accompanied by his wife, Esther, his sister Eudaline Atherley-Roberts and son Joseph Atherley III, took the oath of office before Governor General Dame Sandra Mason. Also present at the ceremony was the President of the St Michael West branch of the BLP, John Bancroft. “I have heard a lot of things said and obviously it seems to be a shocking event to some. Let me tell you what it is not. It is not a reaction to any ministerial appointments made by the Right Honourable Prime Minister last week and the omission of myself. “It is definitely not a reaction to that. I have indicated that to the Prime Minister and to my other parliamentary colleagues. “It is definitely not a repudiation of the Barbados Labour Party platform or policies,” Atherley said, adding that he was part of those engaged in the formulation of the policies contained in the party’s manifesto. “I support those…it is not a reaction to any decision by her,” he said, adding that he believes tremendously in the importance of democracy. “I believe strongly we need to do everything we possibly can to make sure we expand our platform of democracy,” he said, adding that he wants “to constitute that physical presence” on the opposition benches”. He said he would give “critical support to the party in office…to applaud them when they get it right, which I believe they will often, to put pertinent and pointed questions to them when necessary to keep them on their toes. “This is about our traditions of democracy, it is about parliamentary processes and that is why I am doing what I am doing,” he told reporters, adding that he would not be forming a party. Prime Minister Mottley had last weekend noted that she was exploring the possibility of amending the Constitution to allow for the opposition party with the most votes to be able to nominate two members to the Senate. 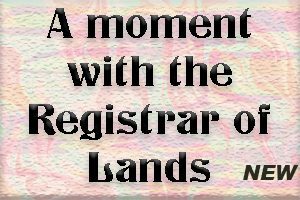 The move was seen as allowing the Democratic Labour Party (DLP), which formed the last government, of having a presence in the Parliament. But Bishop Atherley, the head of the Evangelical Holiness Christian Community Church, said he would be appointing two senators soon. Another government legislator, Gline Clarke, who has also expressed disappointment over being left out of the Cabinet, has however indicated that he would not be crossing the floor. “It is the Prime Minister who has to make the choices. If I did not meet her eyes, there are other things that can be done. The Prime Minister can appoint and disappoint and the truth of the matter is that I was elected as Member of Parliament. You have to give the Prime Minister the benefit of the doubt all of the time,” Clarke said.